Select the item which you want to publish. 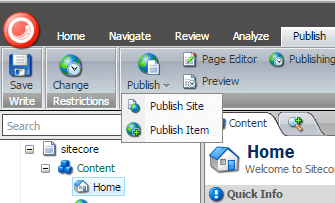 And select the publish item option as shown in the below screenshot. Select the item which you want to transfer. Right click and select insert->Copying->Transfer. A dialog box will appear to select the source item to be transferred. Select the item and click Next button. At the top select the target database to which you want to move, and then select the destination folder to which you want the item to be moved. 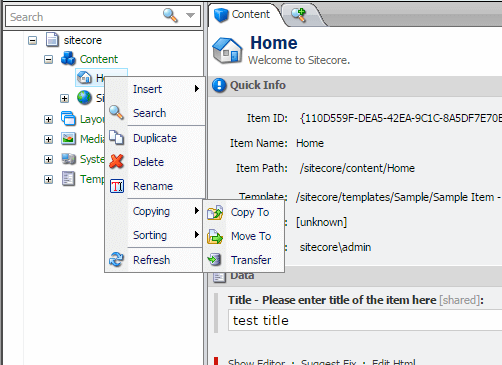 Select web database to transfer the item to web database.